The ServoOut widget controls the position of a standard servo motor within a 180 degree range of rotation (greater than 180 degree servos are available). 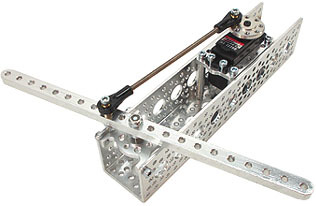 Servos are typically used to precisely position something mechanical by rotating to a specific angle. See below for details on how to connect a servo. 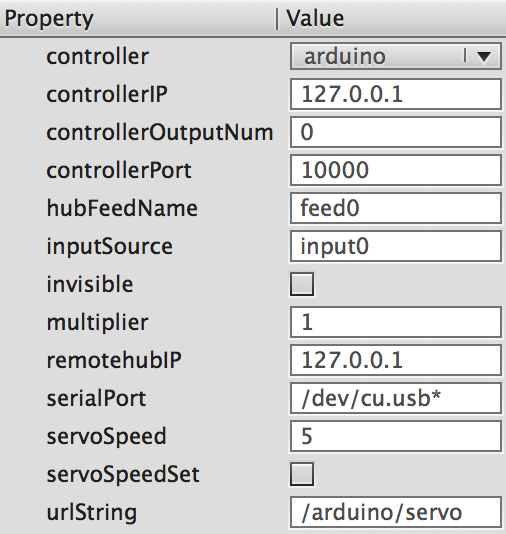 controller – Determines which kind of device the widget communicates with: Arduino or iotnREST. 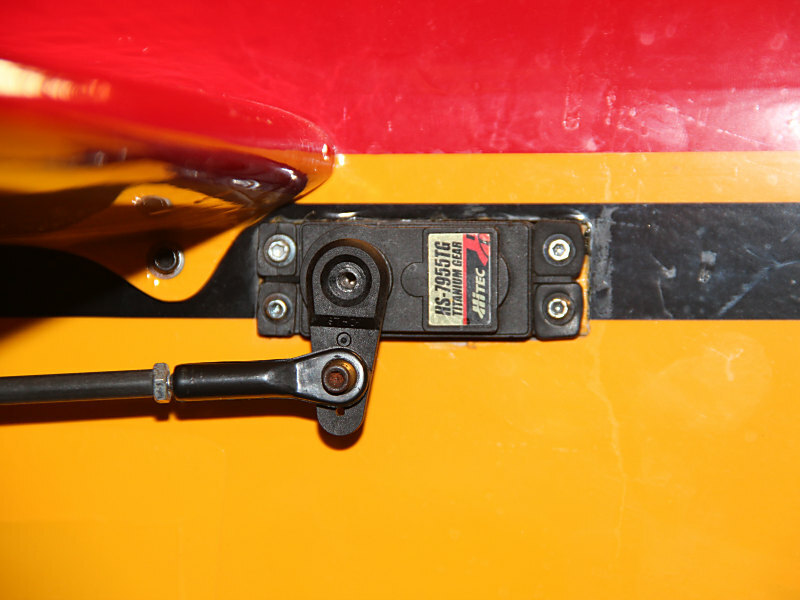 servoSpeed: Make Controller Only – Sets the speed of servo motion if the “speed” button is on. The highest number (1023) is the fastest setting, the lowest number (0) is very slow. For the Make Controller, the actual usable numbers range from 0-14. Above that, the speed is the same as full speed with Speed Control off. Make Controller only, not Arduino. 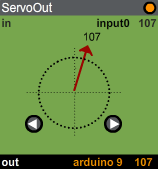 servoSpeedSet: Make Controller Only – turns on speed control as set by the Servo Speed parameter. Connect the Ground and Power wires to their respective connections on the microcontroller. Connect the Signal wire to the appropriate port on the microcontroller as specified in the ServoOutput controllerPort parameter. For Arduino, this should be one of the digital output pins, starting at 2 or higher. For the Make, there are specific ports with 3pin connectors just for servos. The Arduino is only able to power small servos reliably because servos require a lot of power. So a better approach is to use a separate power supply for the servo. To do this, connect the power supply (4.8-6 volts) to the servo Ground and Power, but you must also connect the Arduino Ground to the Ground on the external power supply. Connect the servo Signal as usual. 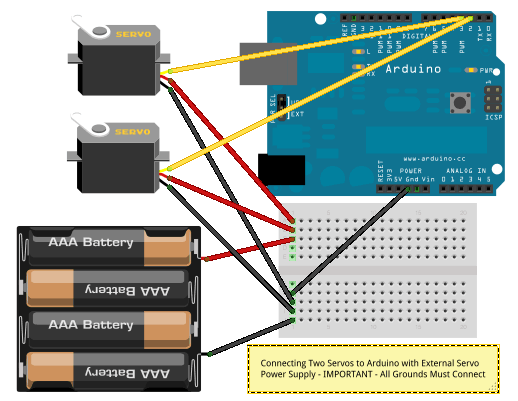 The below diagram (made with Fritzing) shows how two servos can be connected to the Arduino using a battery pack with four AA batteries (makes about 6V) as an external power supply.